Learn About Yogas Form due to combination of Moon With Different Planets and Zodiac Signs. Samaraajya Yoga : if the master of any of the three place 2nd ,9th and 10th place of Horoscope or kundli residing with moon or if the master of the above 3 place is residing in 4th, 7th and 10th place from the moon and jupiter is the master of 11th place then Samraajya yoga forms. As the name shows this yoga makes the person fully comfortable. Person having this yoga in horoscope get Monetary power as well as social status easily.He enjoys all the pleasures in Life. Shakat Yoga : When Jupiter is placed in 8th place from the birth lagna or birth zodiac sign then shakat yoga forms in Horoscope or kundli. This yoga is not good, person having this yoga makes a person dissatisfied. Inspite of having the trust of honorable members and working with them they are not satisfied. They remain concerned(chintit), poor and suffers an unknown problems. Adham yoga : If Moon Sun is present with moon or sun resides in 4th or 10th place from the moon then adham yoga forms in horoscope or kundli. Person having this yoga are polite, intelligent and wealthy but inspie of this their achievements are overlooked or ignored due to this dissatisfaction arises. But exception is this that if moon sits with its positive planets or viewed by jupiter then this yoga don't form. Gajkesari Yoga :If Jupiter is present in 7th or 10th place from the moon and if moon is viewd by healthy mercury(budh) or venus then gajkesari yoga forms in horoscope or kundli. This Yoga makes a person happy, honourable, intelligent. They become famous because of their good behaviour and intelligence. Amlaa Yoga : If Positive or good planets sits with moon or if good planets are present in lagna or 10th place from the moon then amla yoga forms. This yoga makes a person Reputed, famous, philantrhorpic(paropkaari), kind hearted, benignant(sahriday) and wealthy. Shubh - Ashubh Yoga: If good planets are present in lagna then shubh yoga forms and if bad planets are present then ashubh yoga form in horoscope or kundli. As per the name of these yogas person pays in life. Parvat Yoga : If No Planets are present in 7th and 8th Place then parvat yoga forms in horoscope or kundli. Because of this yoga person is of joyful nature, having independent thought, expert, politician, successful writer and famous. Kaahal yoga : If the Master of Lagna is strong, master of 4th place and Jupiter is mutually looking at each other and sitting in center place then kaahal yoga forms in Horoscope or kundli. This yoga also forms if the master of 4th and 10th place is placed in mooltrikon or with it's own zodiac sign. This type of person take interest in politics and make career in this field. They are good orator, mighty,courageous. They may become diplomat. Shankh Yoga :This yoga forms in the following cases : a) If the master of lagna is strong and the master of 5th and 6th place are present in any center place. b) Master of 9th place is strong and the master of 10th place is with aries,cancer, libra or capricorn. This type of person live long life, happy,lucky,philanthropic,gentleman and are able to become minister. Chaamar Yoga : If the master of lagna is very postive and sits in any center place and is viewed by jupiter or if positive planets are present in 7th,9th and 10th place then chaamar yoga form in horoscope and kundli. A person having this yoga are efficient in many arts, good orator, very intelligent, awarded in society and state. live long life and are good politician. Bheri Yoga : Bheri Yoga forms in 2 cases 1) if the master of 9th place is strong and all the planets present in 1st,2nd,7th and 12th place of horoscope or kundli 2) Master of 9th place is strong and master of lagna , jupiter and venus present in any of the center place then bheri yoga forms in horoscope or kundli. Due to this yoga person become happy, yashsvee, gentleman and always get promotion in life. 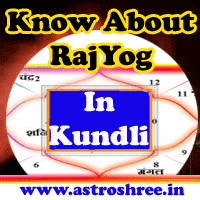 Mridang Yoga : When Planet of Lagna is very strong and and rest of the planets are present in all center places of horoscope or kundli then mridang yoga forms. Person having this yoga are very powerful,effective and are present in very high administrative level. Shrinath Yoga : If the Master of 7th place is sitting in 10th place and is very positive and master of 9th and 10th place remain together then shrinath yoga forms. These type of person gets success in politics easily and get very powerful and effective post. Sharda yoga : This yoga forms in 2 states : 1) when sun is of leo zodiac sign, mercury sits in center place and master of 10th place sits in 5th place. 2) When Mars is present in 11th place and jupiter or mercury present in 9th place from the moon. This type of persons are believer, virtuous, famous, intelligent,lucky and have good status in society. Matsya yoga : When Positive planets are present in lagna and 9th place and negative planets are present in 4th and 8th place and in 5th place both good and bad planets are present then matsya yoga forms. This yoga makes a person state official or governor, wealthy, Enemy killer, and very powerful. Khadg Yoga : When master of 2nd place present in 9th place and vice versa, master of the lagna is in center place or in kon place then khadg yoga forms. Due to this yoga person become higher rank officer, intelligent, famous, efficient in work,wealthy and live life happily. Laxmi Yoga : If the master of Lagna is strong and positive, master of 9th place is very positive and is present in any center place then laxmi yoga forms. This yoga makes a person intelligent, contemplator, orator, wealthy and minister. Kusum Yoga : If Taurus,leo, scorpio, aquarius zodiac sign is present in lagna, venus is present in any center place, moon is viewed by positive planets and is present in 5th or 9th place and saturn is present in 10th place then kusum yoga forms. Persons having this yoga in horoscope or kundli are happy, luxariant, ash rich, majestic, and are ministers. Kalanidhi Yoga : If Jupiter is present with mercury or venus zodiac sign or present with them or viewd by them then this yoga forms horoscope or kundli. Due to this yoga person become delicate, peaceful, artist, happy, ash-rich, intelligent and healthy. Lagnaadhi Yoga : If in 7th and 8th place positive planets are present and are not viewd by any sin planet nor reside with sin planet then lagnaadhi yoga forms in horoscope or kundli. Person having this yoga are eminent scholar or pundit, Ash-rich,get every type of materialistic happiness and are gentleman. Adhi Yoga : If Positive planets are present in 7th and 8th place from Moon and are not viewed by any sin planet then adhi yoga forms in horoscope or kundli. This type of persons are majestic(tejasvi), prudent(viveki) and intelligent. They have power in their speech and their thoughts are real and usable. Due to this people respect them. Sunpha Yoga : If Positive planets are present in 2nd place from Moon then sunpha yoga forms in Horoscope or kundli. due to this yoga person become smart, beautiful, wealthy,happy and stable in life. Anfaa Yoga : If positive planets are present in 12th place from the moon then Anfaa yoga form. These person are self-made. They use the means earned by them only and get success in politics. Durdharaa Yoga : When Positive planets are present in 2nd and 12th place from moon then this yoga forms. These persons are very lucky, get all the happiness in life, generous, kind,charitable in nature, get fame in life.